• Reporting time Lahore . • Report at Hana Restaurant I-8 Markaz. • Dinner and Nightstay at Chillas. • Stp at Rakaposhi viewpoint. • After Breakfast proceed for half day excursion to Nagar Valley to see hooper glacier by 4WD willy jeeps. • Dinner and Overnight Stay at Hunza . 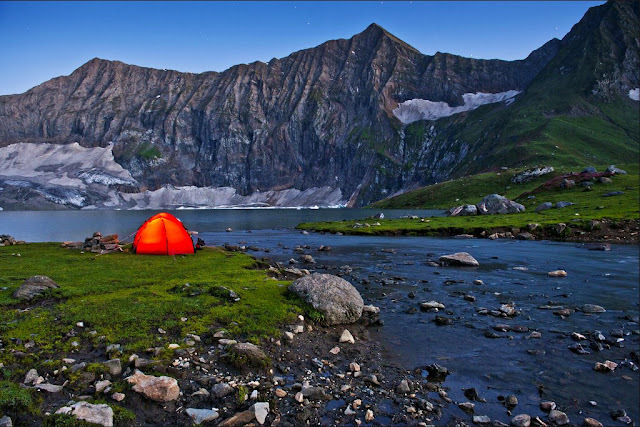 • After breakfast proceed for a full day excursion of Gojal valley and Khunjerab Pass with pack lunch. • Drive back to Hunza. Dinner and Overnight Stay at Hunza. • After Breakfast drive to Gilgit. • Visit of Kargha Rock carved Buddha & Gilgit Bazaar. • Lunch at local restaurant on the way. • Upon arrival transfer to Hotel. • After an early Breakfast at Hotel. • After breakfast departure to Saif-ul-malook lake. • Lunch will be served back at Naraan. • Drive onwards to Lahore. The group will be confirmed with a minimum of 08 people. • Breakfast will be served at Local Restaurant Muzaffarabad. • Off Roading towards camp site Rattigali Lake. • Lunch (Chicken Karahi, Vegetable, roti, Drinks, Raita) at camp site, followed by 40 minutes walk to the lake. • Dinner (Chicken Korma, Masala Rice, Chapati, Salad, Tea) Served at Lake campsite. • Packed Lunch will be provided on this day (Chicken Biryani). • Dinner (Chicken Tikka, Daal Mash, Kachumar salad, Chapati, Chatni, Tea) will be served at the campsite. • 4WD towards Rattigali Lake. Group will be confirmed with a minimum of 08 people. 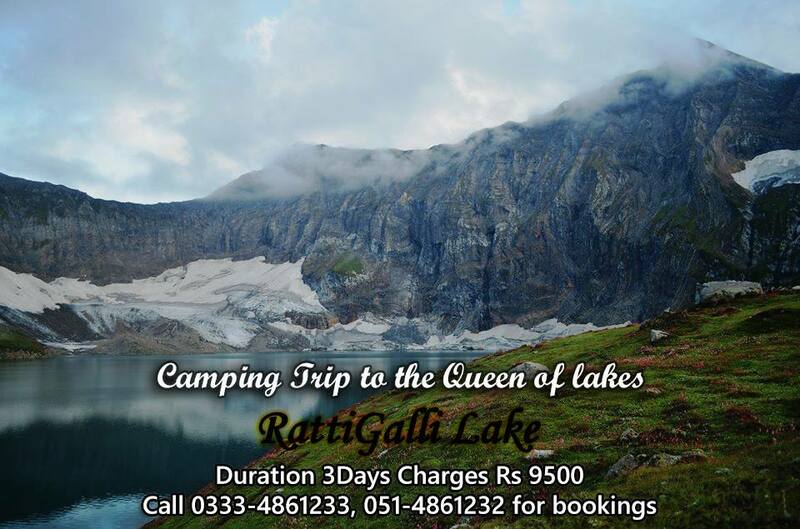 • 4WD towards Rattigali Lake followed by 30 minutes walk. • Lunch (Egg fried Rice, Mix vegetable, Chapati, Salad, Tea) will be served at Campsite. • Dinner (Chicken Tikka, Daal Mash, Kachumar salad, Chapati, Chatni, Tea) will be served at campsite.